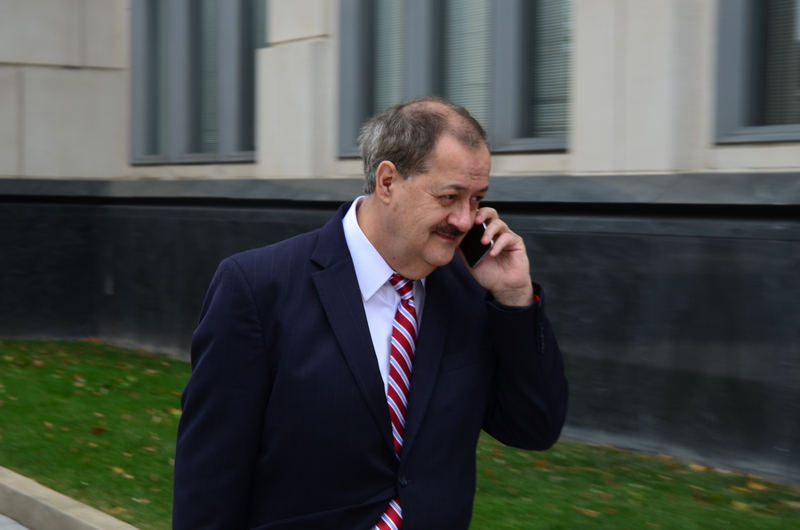 A private hearing between U.S. District Judge Irene Berger and both sides in the Don Blankenship case ended at about 11:30 a.m. Friday. Neither prosecutors nor defense lawyers would comment on what happened during the 30-minute proceeding. Goodwin said he did not know when that would be, but that it would likely not occur until the judge hears again from jurors. When lawyers emerged from the courtroom, there was a brief but heated exchange between Goodwin and Gary Quarles, whose son was killed in the Upper Big Branch mine, when Goodwin would not tell Quarles and other family members what had occurred. Jurors in the Don Blankenship criminal case resumed deliberations this morning on the three felony allegations against the former Massey Energy CEO. The eight women and four men returned to the Robert C. Byrd United States Courthouse in downtown Charleston at about 9 a.m. They were starting their third full day of work after also deliberating for about an hour on Tuesday. Families of the 29 miners who died in the 2010 explosion at Upper Big Branch and members of the media waited in the lobby outside the locked door of U.S. District Judge Irene Berger’s 5th floor courtroom for word of any notes from the jury. One of the most emotional parts of the Blankenship trial occurred when Assistant U.S. Attorney Steve Ruby used his closing argument to outline a series of places he asked the jury to see. And I want you to picture what you have heard about that in this case. It’s easy to, to, as we sit here over the course of weeks and hear testimony, let it turn into words that are running together. But picture that. Picture going underground every day miles away from daylight in complete darkness. Some of you know something about that. Picture, if you can, being miles away from fresh air, not being able to get enough of it; being told by your bosses to keep on mining anyway without so much as a breeze, in methane gas that you know can become explosive if there is not enough air to blow it away from you. Picture mining day in and day out, eight or ten hours a shift, while you are literally choking on the coal dust in the air around you. Picture having your boss tell you to go reroute the air in the mine because safety inspectors are coming and you’ve got to trick them into thinking there’s enough fresh air in the part of your mine where your friends are working. And then picture being told to go take your friends’ fresh air away as soon as the inspector leaves so they go back to sweating and choking and being afraid that the methane gas is going to come back again. Picture a miner who knows that what is standing between him and black lung disease is the dust pump, the sampling device that’s supposed to check how much coal dust he is breathing. Picture that miner being told that he has to cheat on the sample so he can keep eating coal dust without anybody outside ever finding out about it. Picture Larry Adams, the fire boss, that came in here and testified, probably 70 years old, I don’t know; 40 years in the mines, bad legs, being told that you have to walk miles upon miles of conveyor belts every night, alone in the dark, and change the belt rollers, all alone in the dark; do the maintenance, again all alone; fix the roof in the places that you find it falling down, and then shovel up tons of coal that’s come off the belt. Again, all alone. And if you don’t, and an inspector finds a violation on your belts, then you’re the one who gets, quote-unquote, disciplined. Being told to cover an entire mine the size of UBB with only one other person to help you, that would be a joke if it weren’t so scary. How in the world is a human being supposed to do all that? Picture telling your bosses you were afraid something bad, something serious was going to happen at UBB, telling anybody who would listen and being ignored. Picture walking through a mine and seeing everywhere in the tunnels around you coal dust, knowing it’s explosive, knowing there’s an easy way to make it safe by putting down pure white rock dust on top of it, but the people in charge won’t take the time to do it. Picture being told it’s your job to spread the rock dust that can stop explosions from happening or spreading in a coal mine but then picture being given a piece of equipment that won’t work, that’s broke down half the time. Picture asking over and over again for a rock duster that works and being ignored. Picture being pulled away night after night from what you’re supposed to be doing because the mine was shorthanded and there was other work that was more important to keeping the coal rolling on the belts. Picture being a section foreman at UBB. Picture Rick Hutchens who came in here and testified, trying to do the right thing, trying to follow the law, and, and doing everything he can to keep his crew safe. Picture him being sent all the way down to the far end of the mine — he’s shorter than I am — forced to wade through water up to his chest, in places up to his neck, slip-sliding across the bottom of the mine in pitch black darkness. Picture him taking one of his men with him because he knew that if anything happened to him back there nobody would ever find him. Picture him trying to follow the law, risking — risking his life in water that’s almost up to the roof. And the thanks that he gets for it is somebody threatening to fire him three or four times a week for trying to do the right thing. During the above comments, the families of the 29 miners who died in the 2010 explosion at the Upper Big Branch mine could be seen crying. Ruby was outlining the harrowing conditions they knew all too well and it was hard for them to listen. Today, I caught up with Judy Jones Petersen, who lost her brother Dean Jones in the 2010 explosion, to find out what she thought of Ruby’s tactic. We’re all just back from the Robert C. Byrd United States Courthouse, where the jury in the Don Blankenship criminal trial has gone home for the evening. Jurors left shortly before 5 p.m., after sending a note to U.S. District Judge Irene Berger saying they were ready to stop for the night. Judge Berger told jurors to return at 9 a.m. tomorrow to resume their deliberations. Shortly after U.S. District Judge Irene Berger received a note from jurors today, asking how long they should deliberate, Don Blankenship’s defense attorneys filed an emergency motion pertaining to jury instructions. This morning Berger ordered the jury to continue deliberating, saying with the length of the case, the number of witnesses and the fact that jury had only been deliberating for about 10 hours, they should continue the process. As of this writing, the government has yet to respond to this emergency motion. During the 11:45 a.m. meeting, Berger said she found it unnecessary to have to clarify to jurors what she wants them to do – namely continue deliberations. The defense argued that they wanted the judge to clarify that the jury is not forced to reach a decision if they can’t make one. 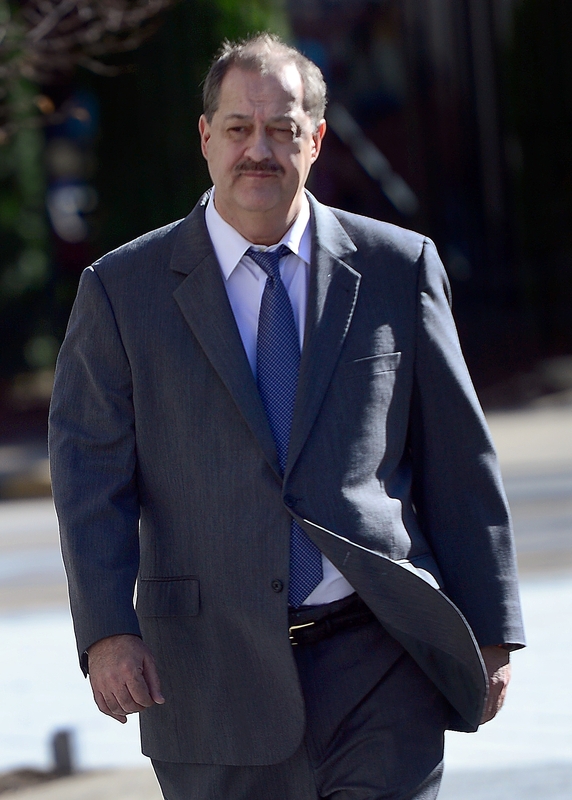 Jurors in the Don Blankenship trial resumed their deliberations this morning trying to reach a verdict on the three felony counts against the former Massey Energy CEO. The eight woman and four man jury returned to the Robert C Byrd United States Courthouse today at 9 a.m. to begin its third day of deliberations. Jurors met for about an hour Tuesday and a little more than six hours on Wednesday. This morning, jurors reported directly to their private jury room, adjacent to U.S. District Judge Irene Berger’s courtroom. Unlike on Wednesday, court security had the courtroom open and media representatives and other trial spectators – including families of the miners who died in the 2010 Upper Big Branch Mine disaster that killed 29 miners – were allowed in. Berger told lawyers in the case on Wednesday that the court would alert them if jurors reached a decision or sent the judge a substantive note. The Upper Big Branch mine sadly was the site of hundreds of serious preventable safety violations, including the most unwarrantable failure orders of almost any coal mine in America. The defendant knew that the Upper Big Branch mine was continually breaking the mine safety laws and that it was one of the worst mines in all of Massey for safety violations. The defendant, the chief executive officer and the chairman of the board of Massey, had it completely within his power, completely within his power to put a stop to the vast majority of the safety violations at UBB if he was willing to spend a little bit more money and take a little bit more time to devote to following the safety laws. Instead, he chose, he chose to keep on breaking the mine safety laws at UBB, not just allowing it, not just sitting passively by while the laws were broken, as if that wouldn’t be bad enough, but taking actions and imposing policies and denying requests that he knew were going to cause the constant law-breaking that existed at that mine to continue. And the reason that he did it was money, millions and millions of dollars for him, hundreds of millions of dollars for Massey, millions for the “yes” men that he surrounded himself with. And when tragedy happened and he found the eyes of the world on him and his safety practices, he lied about it to cover it up and to keep the money machine going a little longer. While we wait for the jury in the Don Blankenship case to reach a verdict, it might be interesting to review some of the major points that both sides made in presenting their closing arguments to those jurors. Do you know who that person was? It was Donald Blankenship. We’re just back from the Robert C. Byrd United States Courthouse, and the news is that the Don Blankenship jury has gone home for the evening … But not before they asked if they could listen again to the recordings of Blankenship’s phone calls that were played by prosecutors during the trial. Sometime after 4 p.m., U.S. District Judge Irene Berger apparently received a note from the jurors. By about 4:40 p.m., prosecutors, defense lawyers and Blankenship — along with the media and families of Upper Big Branch miners — had gathered in the courtroom. Court security brought in the jury and Judge Berger came in at about the same time. After conferring briefly, the jurors then agreed that they would go ahead and recess for the evening then, rather than waiting until 5 p.m.
Judge Berger said that she would arrange for the jurors to be “provided a means to listen to the CDs.” Assistant U.S. Attorney Steve Ruby suggested that court technology staff could provide the jurors with equipment, or that the government could provide a “clean” laptop — without other files on it — that the jury could use to listen to the telephone calls, which are in MP3 or WAV format, depending on the particular call. Defense lawyer Bill Taylor said that Blankenship’s team would prefer that the court provide the equipment, rather than the prosecution. Judge Berger said she would inquire of the court staff and see if that could be done. Jurors are due back tomorrow at 9 a.m. to resume their deliberations. Judge Berger said there was no need for attorneys in the case to report to the courtroom until they hear something from the jury. “I will simply call you if I hear something substantive,” the judge told Taylor. The latest from the federal courthouse is that jurors in the Don Blankenship case have taken a break for lunch. U.S. District Judge Irene Berger released the 12-person jury at about 11:50 a.m. and asked them to return at 1:10 p.m. to resume their deliberations. With closing arguments completed yesterday afternoon (we’ve posted the transcript here) and jurors in the Don Blankenship trial scheduled to be back at the courthouse at 9 a.m. today to resume their deliberations, it’s as good a time as any to briefly run remind ourselves of the charges — and talk a little bit about the form the jury will use to announce its verdict. You can read the superseding indictment here. 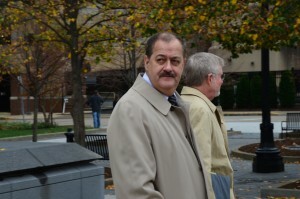 The defendant, Donald L. Blankenship, is charged in Count One of the superseding indictment with unlawfully, willfully, and knowingly conspiring with others between January 1st, 2008, and April 9th, 2010, to willfully violate mandatory federal mine safety and health standards at Upper Big Branch in violation of Title 30, United States Code, Section 820(d) and Title 18, United States Code, Section 371; and to defraud the United States and an agency thereof in violation of Title 18, United States Code, Section 371. This is the count that basically alleges Blankenship conspired to violate federal mine safety and health standards and conspired to thwart U.S. Mine Safety and Health Administration inspections. Count Two of the superseding indictment charges that on or about April 8th, 2010, in the Southern District of West Virginia and elsewhere, the defendant, Donald L. Blankenship, aided and abetted by others known and unknown to the grand jury, knowingly and willfully made materially false, fictitious, and fraudulent statements and representations, and knowingly and willfully made and caused to be made and used a false writing and document knowing the same to contain materially false, fictitious, and fraudulent statements and entries in a matter within the jurisdiction of an agency of the executive branch of the Government of the United States, that is, the Securities and Exchange Commission, in violation of Title 18, Section 1001 and 2. Count Three of the superseding indictment charges that from on or about April 7th, 2010, through on or about April 9th, 2010, the defendant, Donald L. Blankenship, aided and abetted by others known and unknown to the grand jury, did directly and indirectly, by means and instrumentalities of interstate commerce, and by means of the mails and of the facilities of national securities exchanges, did make and cause to be made untrue statements of material fact, and did omit to state and cause to be omitted to state material facts necessary in order to make the statements made in the light of the circumstances under which they were made not misleading, and did engage in acts and practices and courses of business which operated and would operate as frauds and deceits upon persons, all in connection with the sale and purchase of securities, to-wit: Massey Class A Common Stock, in violation of Title 15, United States Code, Section 78ff Title 17, Code of Federal Regulations, Section 240.10b-5; And Title 18, United States Code, Section 2. Counts Two and Three focus on those statements that were issued after the Upper Big Branch Mine Disaster that said Massey Energy did not condone safety violations and strove to comply with all laws at all times. U.S. District Judge Irene Berger released the 12-member jury shortly before 5 p.m. today in the criminal trial of Don Blankenship. Jurors have been instructed to return 9 a.m. tomorrow when they will continue their deliberations. 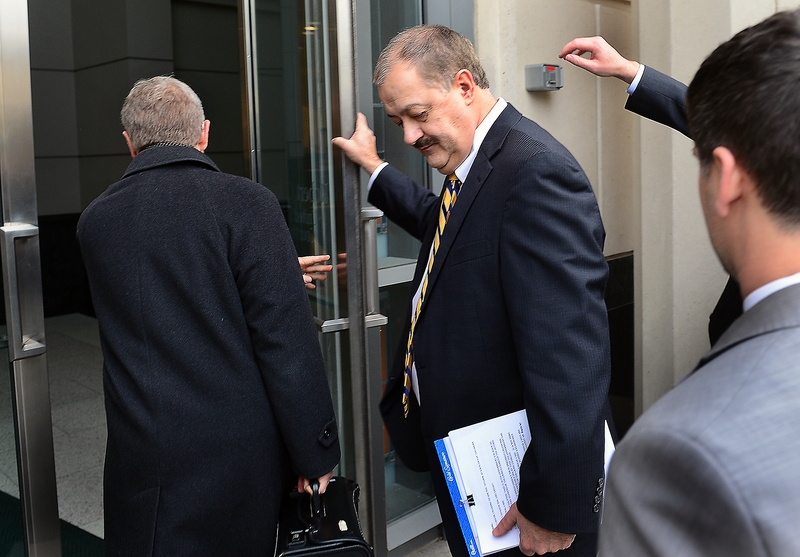 Jurors in the Don Blankenship case were told late this afternoon to begin their deliberations. U.S. District Judge Irene Berger released the jury to begin its closed-door work shortly before 4 p.m., after a day’s worth of closing arguments in the case against the former Massey CEO. Three female alternate jurors were dismissed and will not have to sit through daily deliberations, but could be called back if they are needed. Twelve jurors are left to decide Blankenship’s fate. Lead defense attorney Bill Taylor this afternoon continued his closing argument, telling jurors over and over that federal prosecutors haven’t made their case against former Massey Energy CEO Don Blankenship. Taylor also argued that evidence the defense brought out through its cross-examination of government witness should prompt jurors to acquit Blankenship. For example, Taylor cited former Massey insider Bill Ross’s testimony that he met with Blankenship and believed the former CEO was genuinely concerned about reducing violations. “Bill Ross is Exhibit A that Don Blankenship is innocent,” Taylor said as he finished his closing following a lunch break for jurors. Taylor also argued that Blankenship should not be held responsible for a longstanding practice of coal mine guards of alerting workers underground when government inspectors arrived. Lead defense lawyer Bill Taylor told jurors late this morning that federal prosecutors have no evidence that proves the charges against ex-Massey CEO Don Blankenship. Taylor said prosecutors may have shown that Blankenship pushed for more coal production, was tough to work for, and made himself and Massey a lot of money. “If it’s true that he made a lot of money, and he worked for a company that made a lot of money, he’s guilty — I’m wasting your time,” Taylor said. Taylor began his closing arguments shortly before noon as the jury heard lawyers from both sides summarize their cases. He led by showing jurors quotes from two key government witnesses — former Massey officials Chris Blanchard and Bill Ross — who provided testimony helpful to the defense. Taylor also belittled testimony from another government witness, David Hughart, saying Hughart came to court from a “halfway house” and made a deal with the government to avoid being prosecuted for stealing from Massey. Also, Taylor chided the government for not bringing federal mine inspectors to court to testify about citations issued to Massey. He noted that the government got key citations into evidence through the testimony of a U.S. Mine Safety and Health Administration computer data analyst. 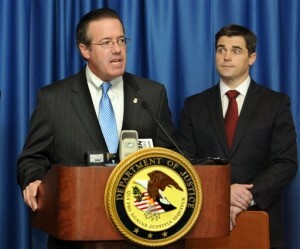 “The paper is what the government has brought you to prove that Don Blankenship is guilty of conspiracy,” Taylor said.